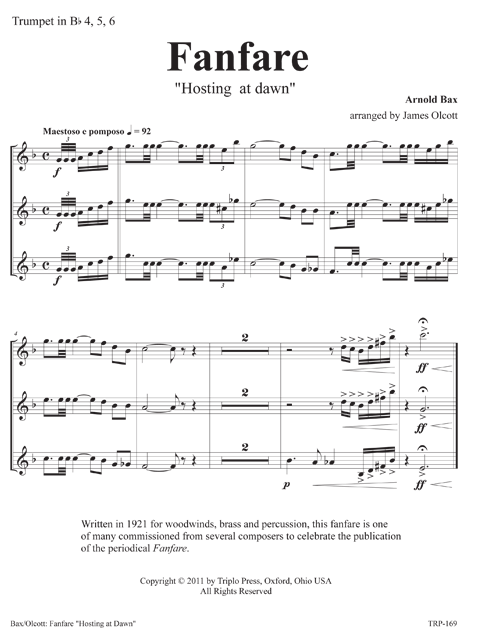 Written in 1921 for woodwinds, brass and percussion, this fanfare is one of many commissioned from several composers to celebrate the publication of the periodical Fanfare. 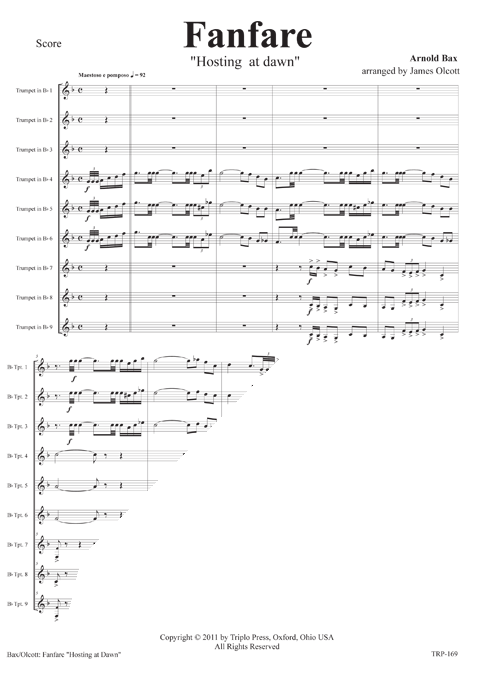 Typical of British fanfares. Short, very stirring, and amazingly great for starting up the second half of a concert. 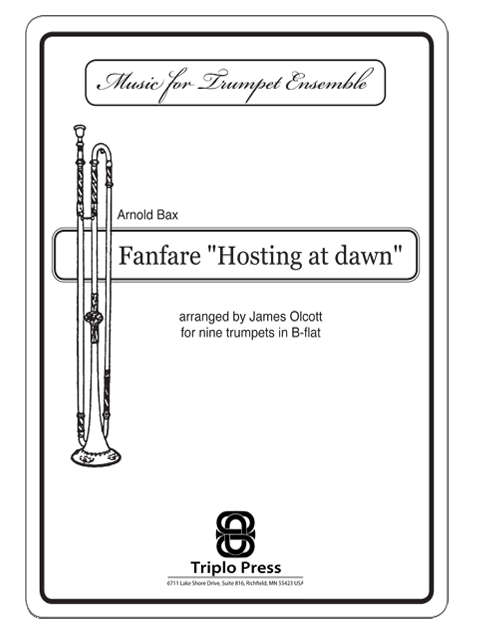 THIS FANFARE IS A FREE ADDENDUM WITH THE PURCHASE OF ANY WORK IN THE TRIPLO PRESS PATRIOTIC SERIES or can be purchased from this page.